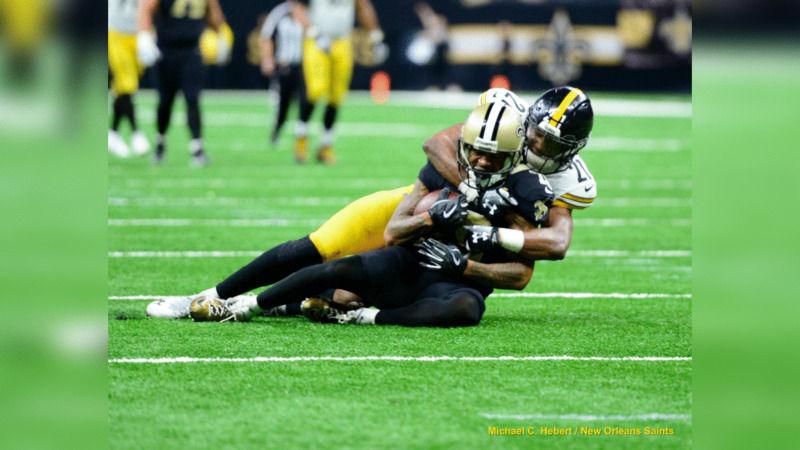 Check out the Week 16 game action between the Saints and Steelers at the Mercedes-Benz Superdome on December 23, 2018. Rather than faking field goals and punts, New Orleans Saints opponents in the future simply might better like the percentages of lining up and going for it with their regular offenses. They’re 0-for-2 testing Craig Robertson on the fakes. First it was the Rams on Nov. 4, faking a field-goal attempt on fourth-and-4 from the Saints’ 16-yard line. Punter Johnny Hekker fielded the snap, popped up and headed for the right sideline, and looked to have the angle to gain the first down. But the Saints linebacker sniffed out the play and pushed Hekker out of bounds before he could reach the first down marker. New Orleans took over on downs, mounted a touchdown drive on its next possession to take a 21-14 lead, and went on to win 45-35. 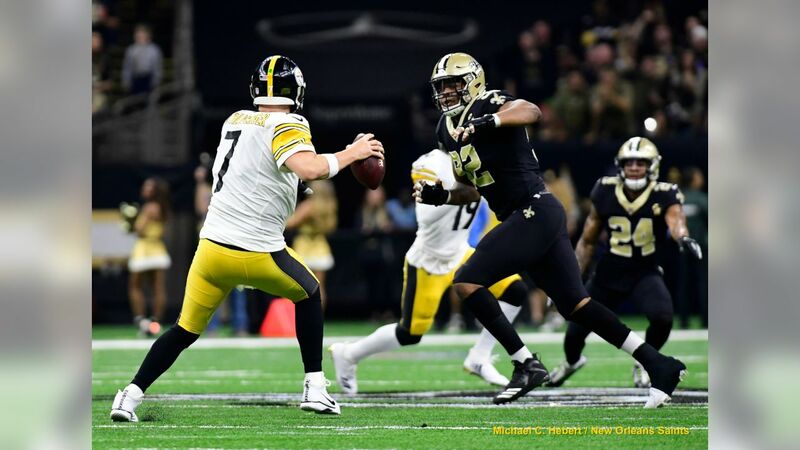 The second time was Sunday, against Pittsburgh in the Mercedes-Benz Superdome, with the Steelers leading 28-24 with 4:11 left in the fourth quarter, and Pittsburgh riding momentum courtesy of a blocked field goal that was its third consecutive defensive stop against the Saints. On fourth-and-5 from its own 42, the Steelers lined up to punt. But punt protector Roosevelt Nix, a fullback, took the snap instead of punter Jordan Berry. And Nix wedged in behind the left guard and burrowed forward. Robertson, again, wasn’t fooled. He made first contact with Nix and stalled him just short of the first down, and when safety Chris Banjo came in to help finish off Nix, he was a yard short of gaining the first down (despite the fact that he mistakenly celebrated gaining the first down). The Saints took over on downs, then crafted a 10-play, 46-yard drive – which included a third-and-20 conversion on Ted Ginn Jr.’s 25-yard catch – that ended on a 2-yard touchdown pass from Drew Brees to Michael Thomas with 1:25 left. That score gave the Saints a 31-28 lead, and proved to be the margin of victory.